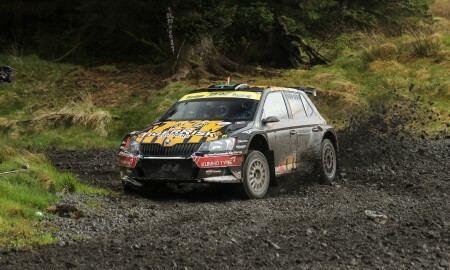 McCormack flies high at the Scottish Rally! 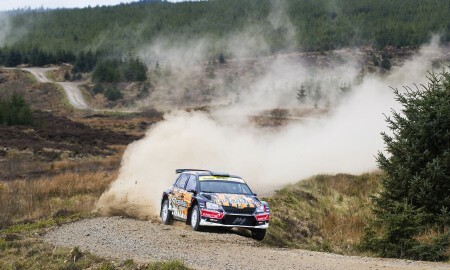 McCormack nets podium on Pirelli International Rally! After possibly one of the most difficult events of the year Marty McCormack and David Moynihan can hold their heads high as they reached the finish of the John Mulholland Motors Ulster Rally in 4th place. 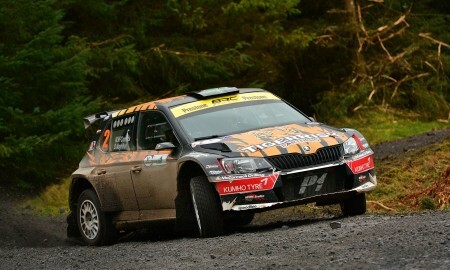 Day 2 of the event consisted of 8 more stages totalling over 84 miles, starting with the Slievekirk test. Marty & David had a good run through the stage, closing the gap to Sam Moffett to 6.2 seconds. Following a quick service, 3 more stages lay ahead of the crews but it wasn’t going to be easy for the TigerRisk Team. A big spin on stage 8 cost some time but Marty finally got the upper hand over Moffett on stage 9 ‘Barnes Gap’ where he took a 2-second advantage over him. 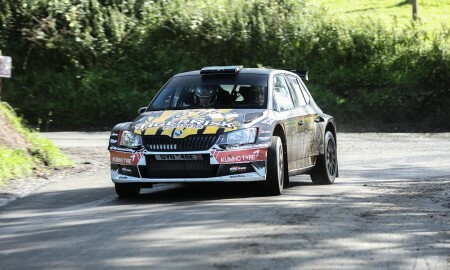 Marty’s pace continued to increase eventually claiming the fastest time of the rally on the penultimate stage! Come the finish ramp in Derry City Marty & David claimed 4th overall in the event and a podium finish in the British Rally Championship. 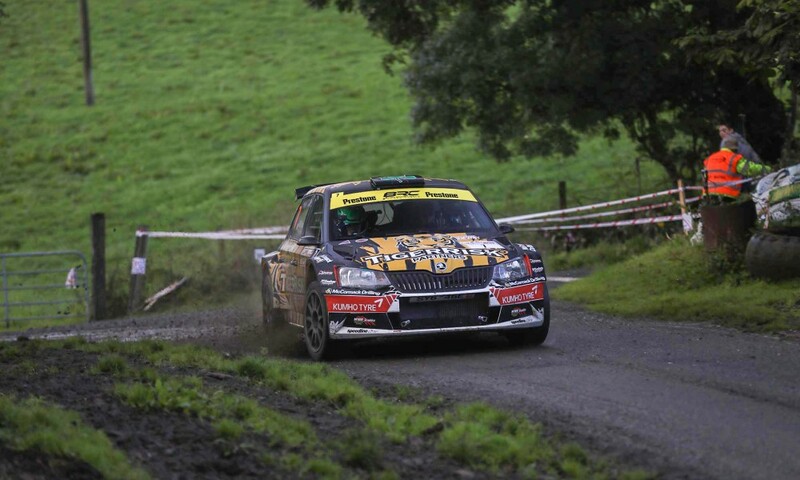 This puts the Tiger Risk Skoda in 4th place in the British Rally Championship standing, 9 points behind Osian Pryce in 3rd. With championship points available on both day of the final event of the championship the Isle of Man Rally a podium position in the championship is still on the cards for the team. The next rally for the Marty is his local Sunset Stages Rally based in Draperstown. Marty will have his niece Caron along side for the event, the last time the pairing were together they won the Tour of the Sperrins Rally can they do the same again? For more information about the event keep up to date on Marty’s social media channels. Twitter @martymccormack and on Facebook at www.facebook.com/marty.mccormack1. Marty is competing this season with the support of Tiger Risk Partners and P. McCormack and Sons Ltd.